Our prefix is Blackbrooke. This name is chosen because we had the intention to breed black shire horses, with four white legs and a white blaze in Loarnse (Larense) brook. So Blackbrooke is a contraction of the words black and brooke. Since 2007 we have shire horses. 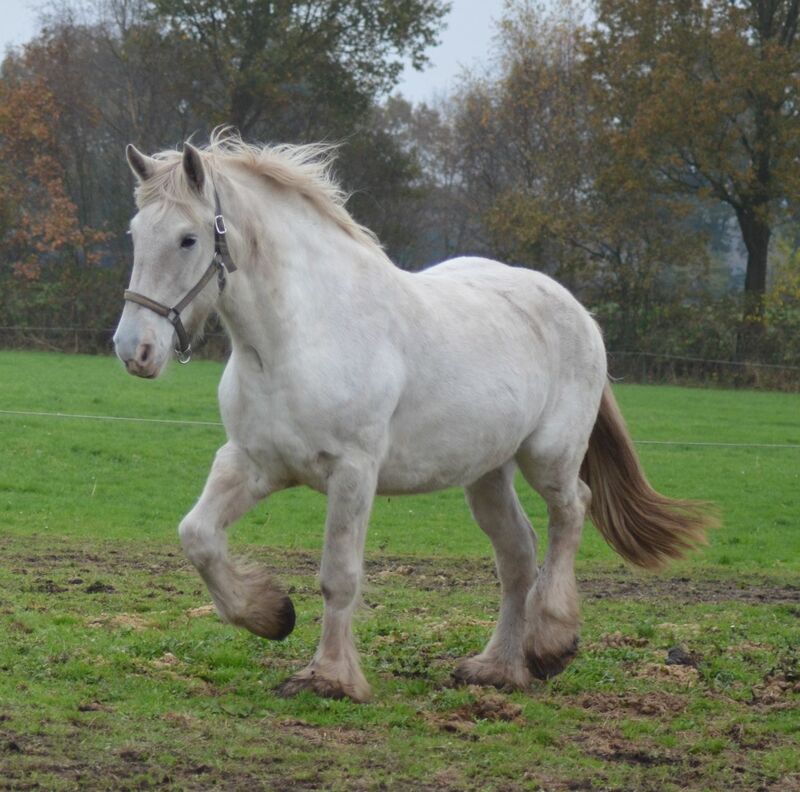 What started as a small hobby with only one Shire, is nowadays even more than just a hobby with several grown up Shires and foals to be born every spring. Before starting with keeping horses, we made a study about the differences between several breeds. Only the Shire horse could meet our requirements. Big and very kind. The black Shire horse with four white legs is our favorite. 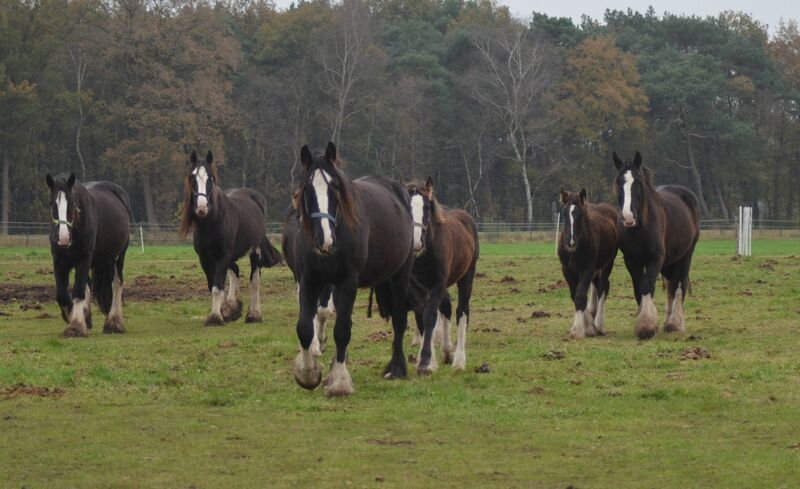 We have the intention to breed especially black Shire horses with four white legs and a white blaze. 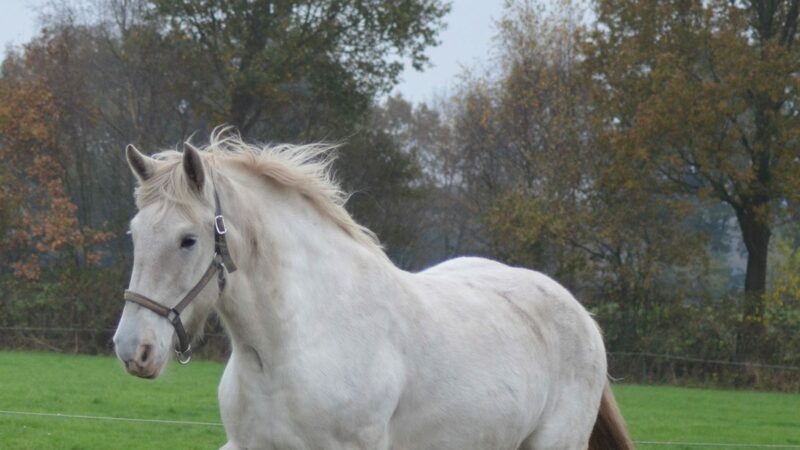 For each mare we make a selection for the right stallion, to have the best chance for beautiful foals. It is our intention to build up a pure pedigree which reaches our expectation. At the same time we have a lot of pleasure while we drive our carriage with our Shire horses. 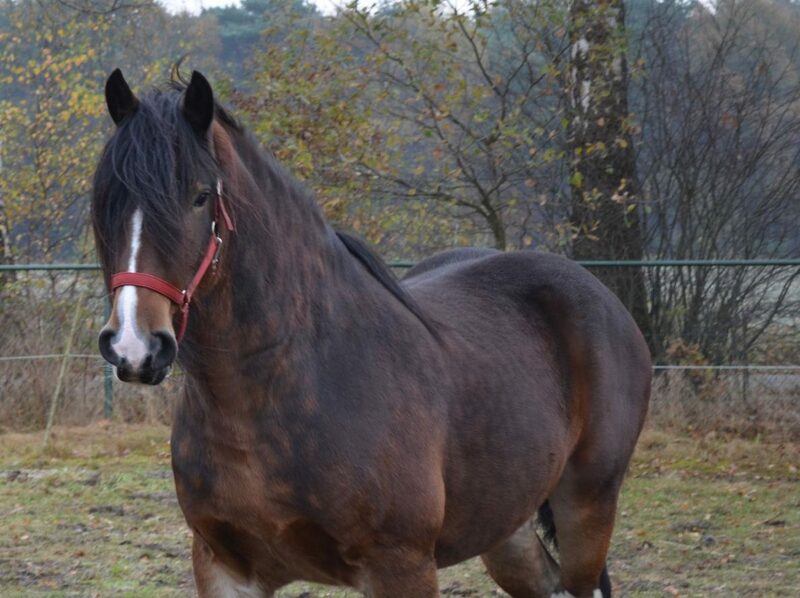 Everybody who is in the possession of Shire horses even for breeding or just for fun, we hope they will have a lot of good moments!